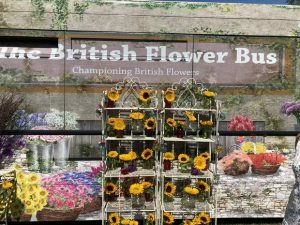 During 2018 Jonathan Moseley led a nationwide campaign to promote commercial British Flower growing and highlight the 12 month availability of British Grown Flowers. 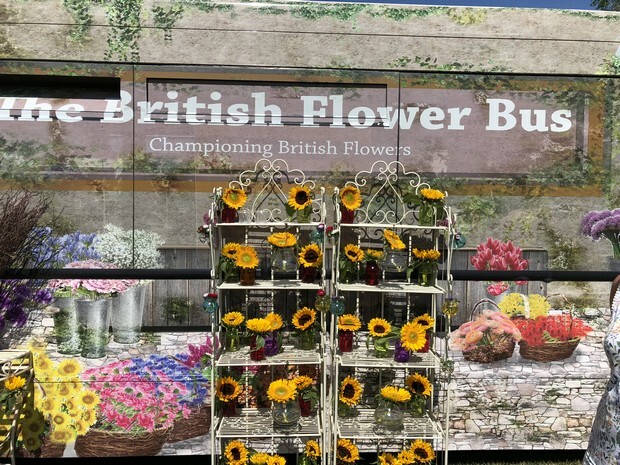 Jonathan has been working with FlorismartUK to launch a ground breaking three-year project with a major industry and retail campaign to establish wide scale seasonal growing of cut flowers in Britain and an educational campaign to raise both professional and consumer awareness of the British cut flower industry. 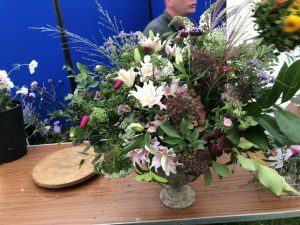 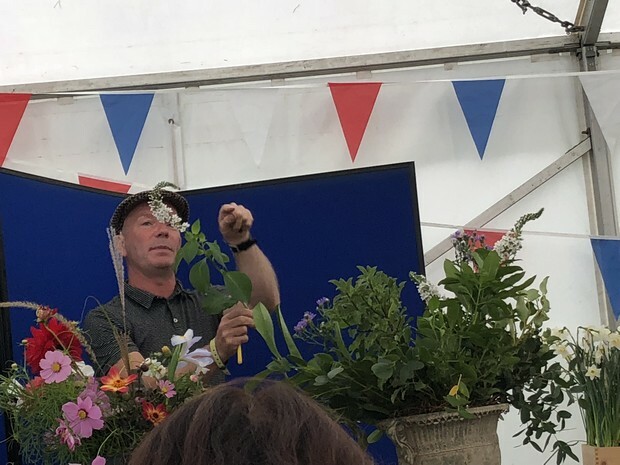 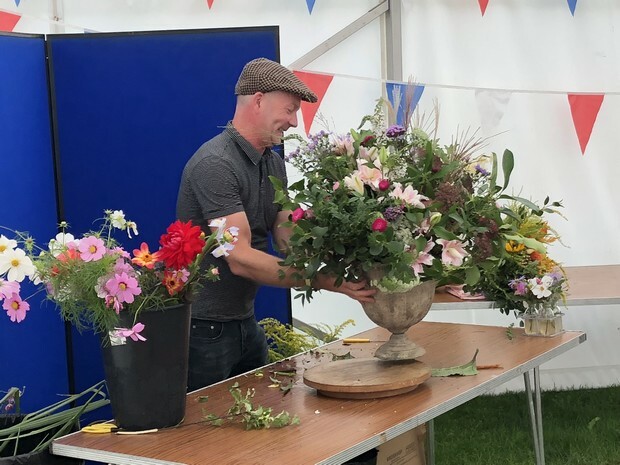 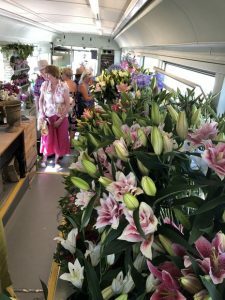 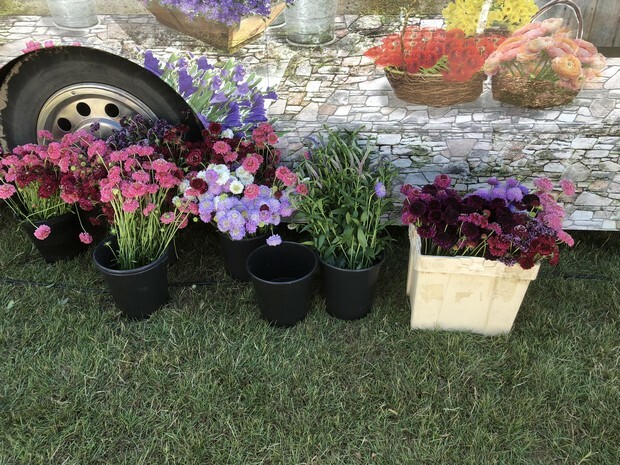 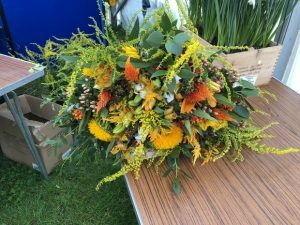 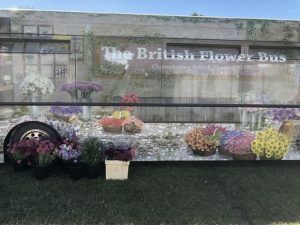 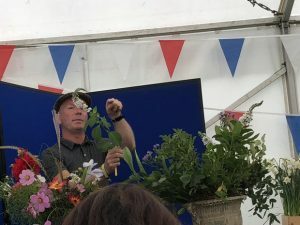 The British Flower Bus was a major highlight of this Summers Horticultural shows with Jonathan demonstrating fabulous British floral displays with a wide range of seasonal products. 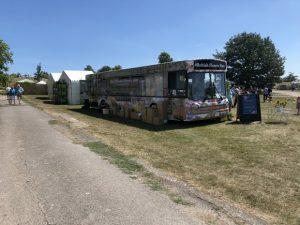 The bus has been seen at all of the RHS shows this year with its last appearance in 2018 being at the Wisley show in early September. 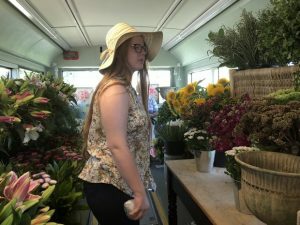 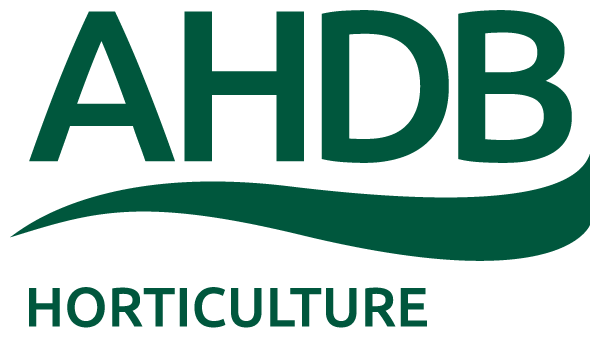 A number of UK growers have supplied a wide range of products to the “bus” over the season including sunflowers, asters, lilies, solidago, sedum, stocks, hypericum, green foliage, snowberries and gyp to name but a few. 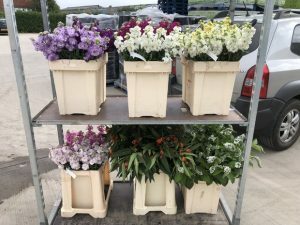 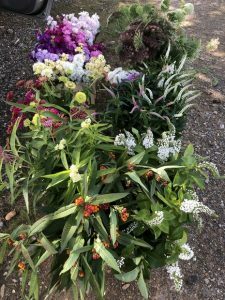 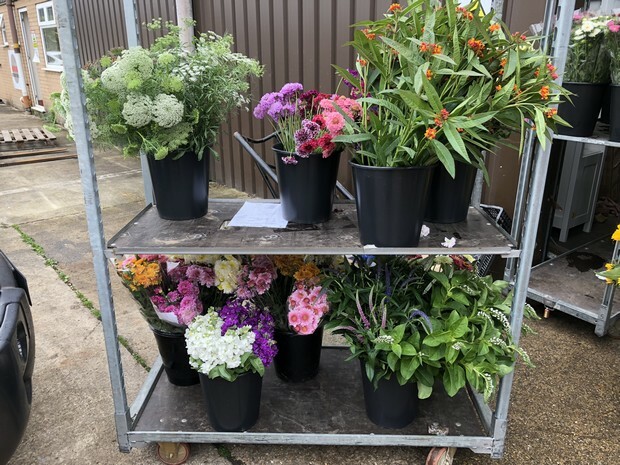 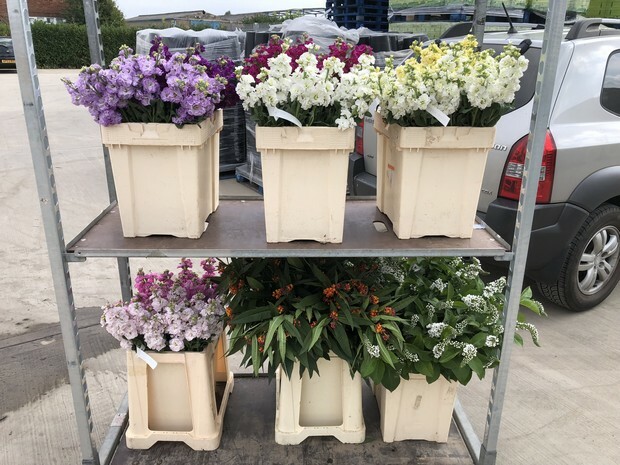 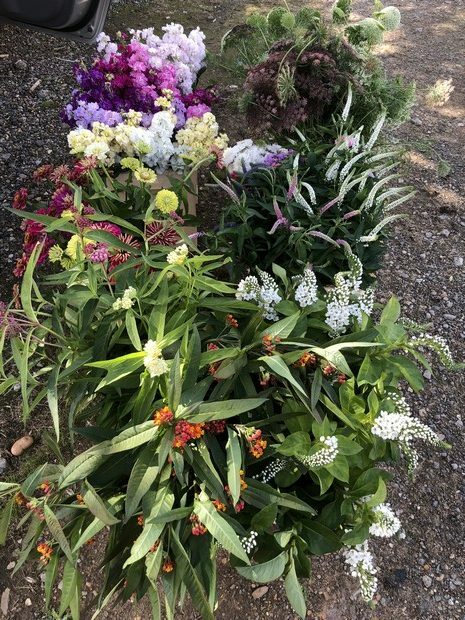 The CFC has also played its part by supplying a varied range of products from the 2018 trials including Scoop Scabious, Veronica, Lysimachia “Jumbo”, Aslcelpias, Ammi, Daucus, Zinnia and late flowering “Japanese” stocks (see pictures below). 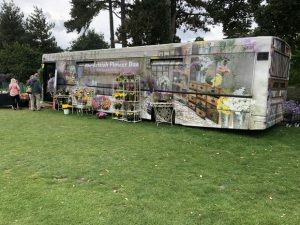 As well as the fantastic range of UK cut flowers showcased within the bus, Jonathan also used the wide range of blooms available to him to create a plethora of innovative and amazing floral creations during regular demonstrations to a very appreciative audiences of the general public. 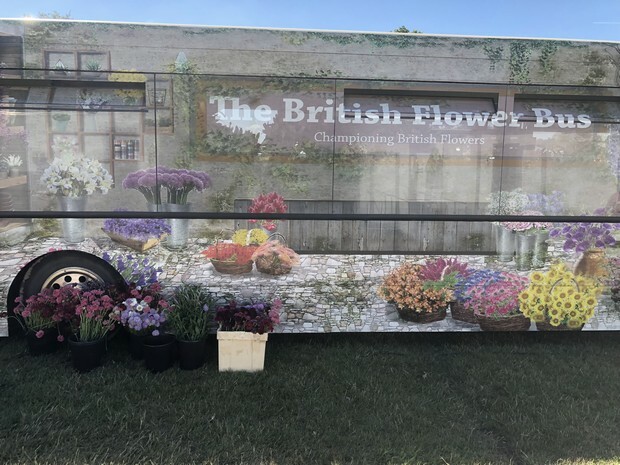 The bus will be on the road again in 2019 and the CFC looks forward to playing its part in helping to further promote our fabulous UK Cut Flower Industry.